Horde wrestlers have been staying busy during the past few weeks. 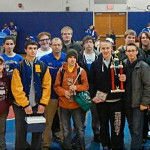 The team traveled north to Ausable Valley for the third annual Travis Capen Memorial Duals on Saturday. 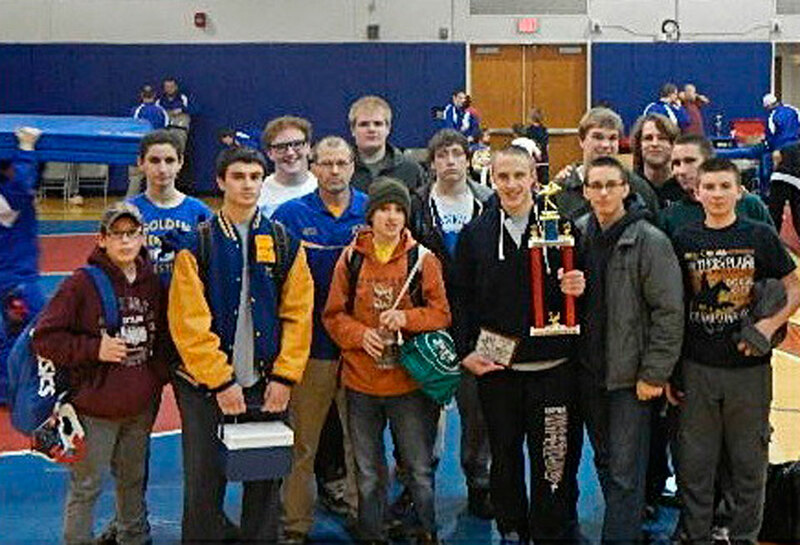 Granville had a strong showing, finishing with a 4-1 record and a second place finish. Leading the way for the Horde was Brad Perry, who went 5-0 with three pins at 170 pounds. Other undefeated wrestlers were Anthony Arbuckle (182), Jody Hermance (195) and Damian Duffy (145). Dwayne Nadeau (285), Nathaniel Palmer (138), Ben Fox (160), and Devin Cohan (113) all finished the day an impressive 4-1, according to coaches. William Duffy (99) added a strong performance, going 3-2. On Dec. 11 the boys fell 60-27 to the Hadley Luzerne/Lake George team. “Although there were a lot of forfeits, the bouts wrestled were hard fought,” Palmer said, mentioning several wrestlers from both his and his opponent’s team. Damian Duffy pinned the WarEagle’s Dylan Bachem in 1:15 at 145, and Fox also won by pin. Cohan fought for a 9-6 decision win over Garret Swift at 120 pounds. The loss came a week after the boys triumphed over Tamarac 42 to 40 Dec. 5. “Hard fought victories by Ben Fox at 160, who trailed 8-7 in the third period, and brad Perry at 170 sealed the win for the Horde,” Coach Steve Palmer said, also mentioning William Duffy, who recorded his first varsity win at 99. At 106 pounds, Dylan Martindale pinned Tyler Peterson in 1:17. In 1:38, Damian Duffy also pinned for the Horde as did Cohan in 55 seconds and Daegan Jones in 2:35. Palmer pinned Tamarac’s Gabe Constanza in 1:28 at 145, and Martindale at 106 pinned Tyler Petersen in 1:17. Fox also won by pin in a long, 5:17 bout at 160. Nadeau won by a 3-2 decision over Cameron Michel, and Perry won by 4-3 decision over Connor Tuttle. The team will host Salem tomorrow and will participate in the Granville Lions’ Coach Ken Harrison Memorial Tournament on Saturday.